All About A has been invited by the Polytechnic Museum Moscow to bring the 6 Design Principles, developed by All About A and Smith Innovation in 2017 based on the children’s ideas for the future museum, into action. Part of this implementation includes a main concept for a children’s wunderkammer in the South Courtyard of the museum . 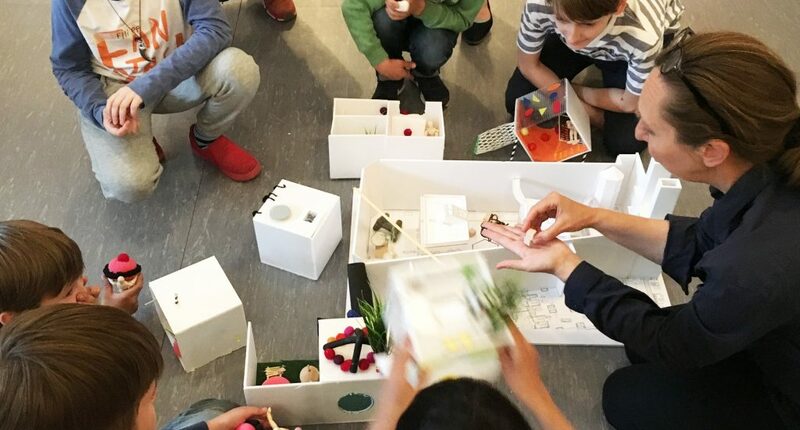 As a part of the new museum design, the Polytechnic Museum wishes to integrate knowledge of children’s preferences and learning-patterns and in June 2018 a group of the Russian children once more explored the museum design focusing on activity and relaxing zones in a master class developed and implemented by All About A in Moscow. The children worked with architecture models in 1:100 as well 1:10 testing their ideas with different functions, form and materials. The models from this master class will also be part of a future exhibition in Moscow.